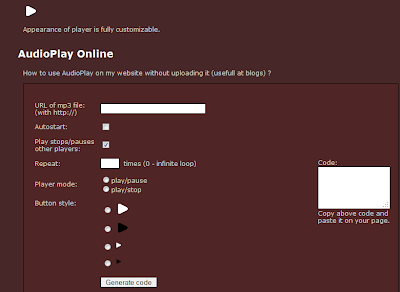 I recently posted a tutorial to Embed Free OutStanding Music Player To Your Blog - Dewplayer. Many of you liked the idea of embedding the music player to your blogs so here it is another Tiny Music player for your blogs. The major difference between the Dewplayer and this one is its size. Its Tiny! How small can you think of a music player to be? The real beauty of this music player is the fact that how easy it is to configure for your blog. It wont take more than 30 seconds to tick the check boxes (the options that you want) and the code would be ready. Why Mp3 Audio Players On Blogs? Music, if properly suited to the situation can make a whole new experience, even from a normal situation. It can be a good idea to add simple music controls to your blogs. But one should make sure that the music is not set to auto play as many might not want to listen it. So no force playing. Let the controls be easily visible, like this simple (one buttons based mp3 player). Lets see what makes this tiny music player stand out. The mp3 player is flash based, with simple code that wont make any considerable difference in your blog's load time. All you need to do is to set couple of options like auto play back, loop settings, buttons styling etc. You could always choose from the 4 different buttons sizes and colors (white or black). 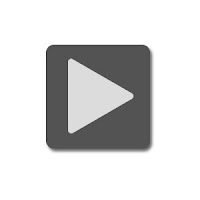 In case you wish to upload your own button image, its possible too. So there are bunch of features that makes this mp3 audio player easy to use. As you see in the image below, there are generally 5-6 options until we get our final code. Starting of with adding a mp3 audio file, then playing with options like repeat, play pause, auto start etc, then finally using from buttons types. Configure Your Mp3 Audio Player. Hope you found this mp3 audio player useful. Just make sure that you don't put the player on auto play. That could irritate your visitors. Is it possible to add this code to blogger dynamic view? is it compatible with dynamic views?? I really like the way you have bulleted the main points and then sub-bulleted the details. And all the line spaces are nicely spread apart, which makes it so much easier to read. (I come from a printing background, so I really appreciate the layout of this page). how to add another song? why that is not work on my blog ? what wrong with my blog / browser ?